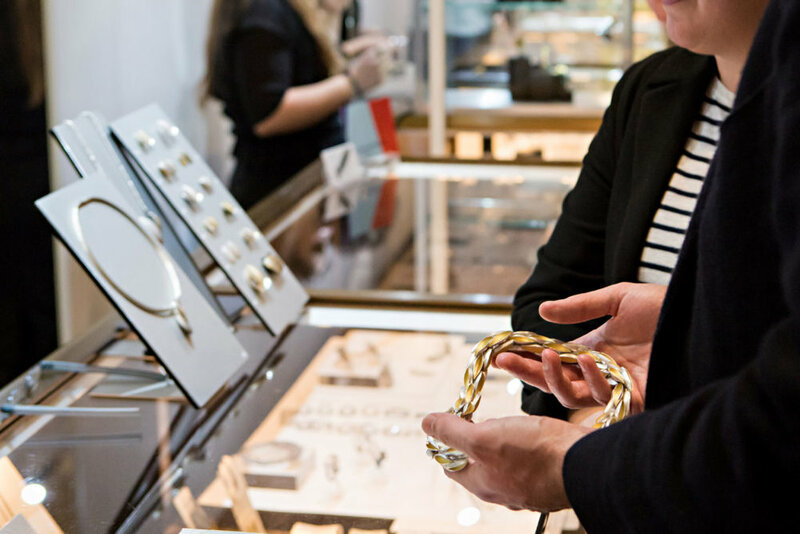 Organised by the Goldsmiths’ Company, it is a celebration of the best established and emerging British goldsmithing and silversmithing talent – a hub of creativity, design innovation and outstanding craftsmanship. Each year, this unique event draws collectors, design lovers and luxury shoppers to the magnificent Goldsmiths’ Hall where they can browse the latest collections from this handpicked selection of craftsmen and women. Goldsmiths’ Fair takes place over two weeks – the Fair closes for one day during the two weeks, as the makers exhibiting are changed over. In week one, we show our first 63 makers, and in week two, another 63 makers. 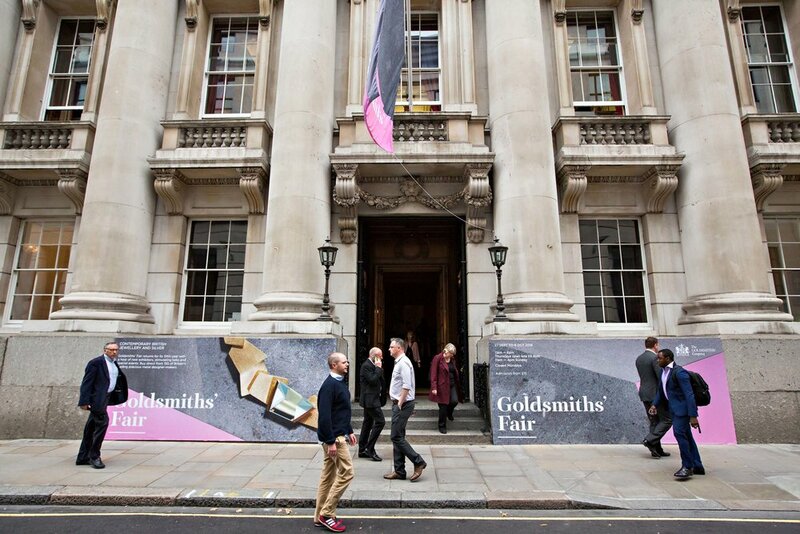 The Fair takes place at Goldsmiths’ Hall, in the heart of the City of London. The Hall is home to the Livery Company of the Worshipful Company of Goldsmiths, founded by Royal Charter in 1327. The Company continues to support the trade today, and the Fair is one of the many ways we do this. Exhibitors pay for their stands to help cover the cost, and the Company takes no additional commission or fees from the makers. Curated by a panel of experts, Goldsmiths’ Fair features 126 exceptional designer-craftsmen from independent workshops around the UK. Every item exhibited is hand-made with extraordinary skill and artistry.